Plug plants are young plants grown in jiffy-7 pellets. 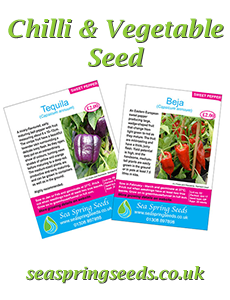 They are sown in January or February, and will be ready for potting on when sent out in early May. Ordering is simple; just select what you want – there are no set packages and no minimum number. Packages will be sent out by first class post. The package will not fit through most letter boxes, so if necessary leave a note for the postman giving instructions on where it should be left. We will send an email to you on the day your order is sent out. 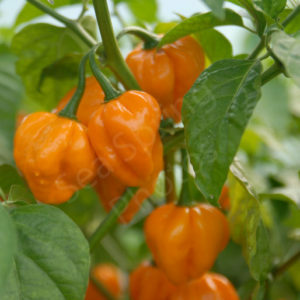 ‘Habanero’ is the common name given to chillies belonging to the species Capsicum chinense. Another common name for these chillies is ‘Scotch Bonnet’, although this term originally referred to habaneros that are roughly shaped like a bonnet. 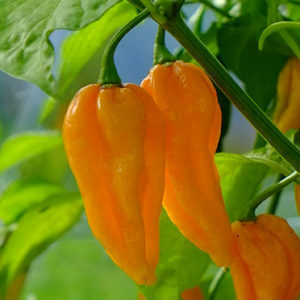 Renown for their fruity flavour, it is a common belief that all habaneros are excessively hot. This is not true; there are habaneros of all heat levels. 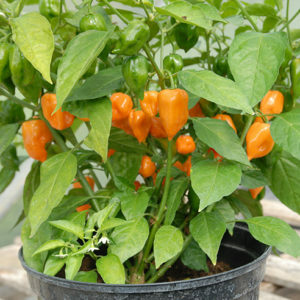 We offer habanero plug plants that range from extremely mild to excessively hot. Orders accepted now; delivery early May 2019. For information on how to look after your plug plant(s) go to Gardener’s Information. An beautiful Peruvian specialty that produces colourful, fruity-flavoured fruit that are so shiny they look as if they have been polished. 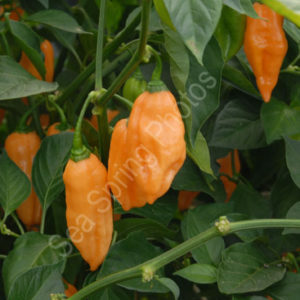 An almost heatless habanero with an exceptional flavour and aroma. The fruit are delicious as a fragrant addition to salads and sandwiches. 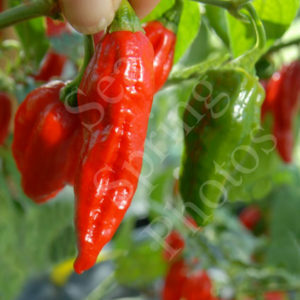 A small Brazilian chilli pepper that is very popular, very sweet and so mild it can be eaten whole off the bush. Good in salads, sandwiches and as “flavour bombs” in stews. 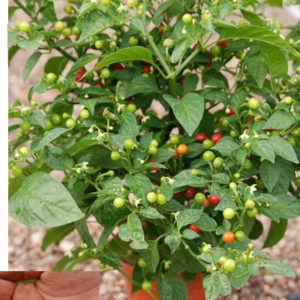 An unusual chilli with tiny, round fruit on short, bushy plants that do well in small pots and look great on a sunny windowsill. The fruit are hot and fruity-flavoured. 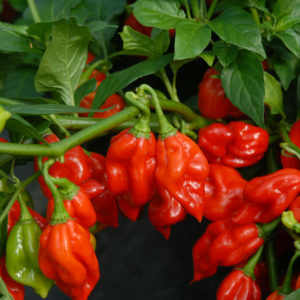 A very hot and extremely aromatic chilli that should satisfy even the most die-hard chilli head! Fruit ripen from green to a bright yellow. 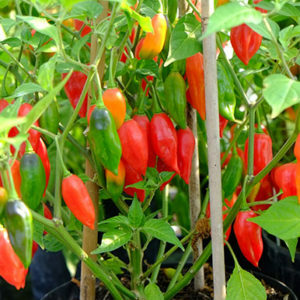 A Jamaican scotch bonnet variety distinguished by its large orange-yellow fruit that are hot and have a delicious, distinctive orange aroma. 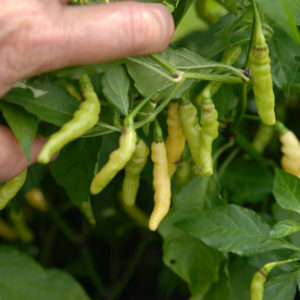 Chilli plants var. 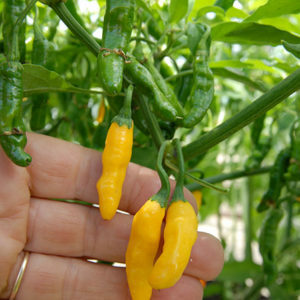 Lemonella have bright yellow chillies with a citrusy flavour. Orange Habanero is a combination of beauty and the beast: brutishly hot while being seductively fruity. Plants are productive and medium-sized. 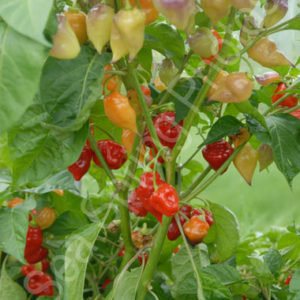 A very popular habanero, and for good reason – plants are extremely productive, and the very hot, smooth skinned chillies have a lovely flavour. 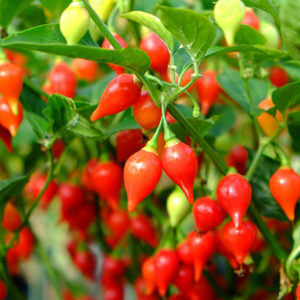 A fantastically-flavoured and aromatic chilli with stunning good looks. 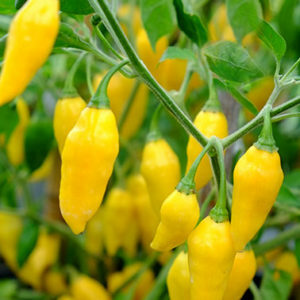 This yellow chilli is so good you’ll wish it was a submarine that you could live inside! A high yielding chilli with bold, deeply-grooved, red fruit with a particularly likable, fruity aroma, and a heat level that makes it manageable for most people. An unusual variety yielding masses of worm-shaped, superb lemon-flavoured fruit on tidy, bushy plants. This variety quickly becomes most cooks’ favourite.